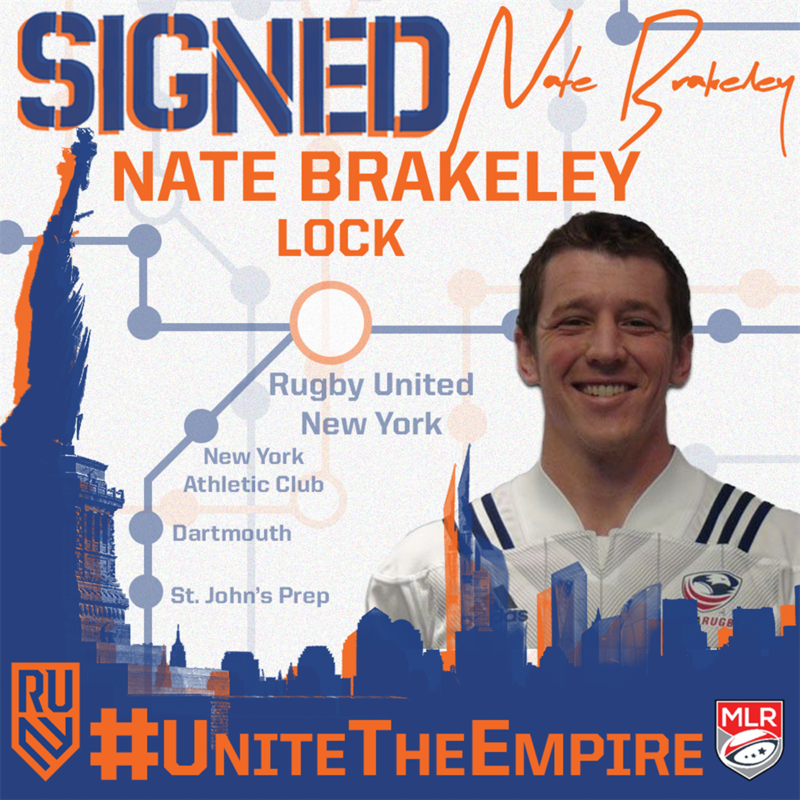 Rugby United New York has signed Lock Nate Brakeley for the 2019 Major League Rugby season. Brakeley is the third USA national team player to sign with New York City’s first professional rugby franchise. The Lock started all three matches for RUNY this past spring.